Free night Calling from landline phone from night 9pm to morning 7am. You can call to any network, any state in India at free of cost which is well suited for the rural people who wants to communicate with their children working in other states. 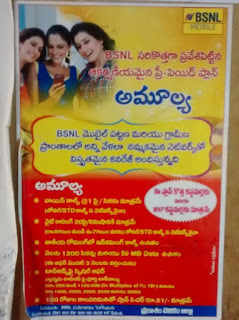 BSNL broadband offers many unlimited plans. All plans have 2Mbps as minimum speed till FUP limit. And 1Mbps speed after FUP limit. 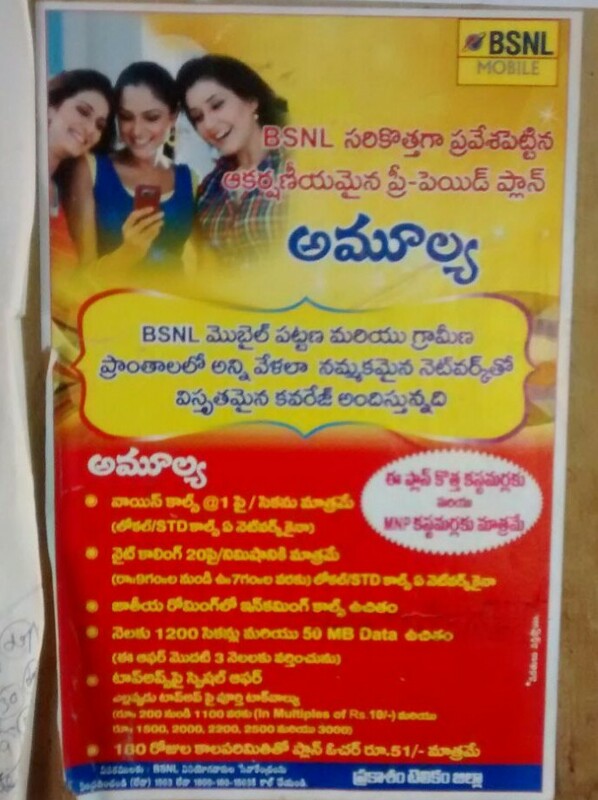 BSNL has a stunning mobile plan Amulya. 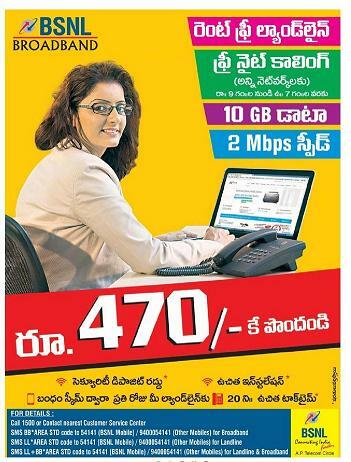 Free National roaming. You don't need to special recharge while you roam. Full Talk time offer, always. There is no riddle to find what is the full talktime voucher present in the market. Recharge with 200 and above and get full talktime. Coming to mobile data services, BSNL has best of its kind 3G network across the country (well, I didn't roam all around the country. But as per my usage in major towns in my district). All mandals in the district will get 3G coverage by end of this year. Free to Home is an innovative idea which will forward your mobile calls to your landline at home/office at free of cost. You can decide when you want to forward and when to not. We all knew the voice quality of land phone. It is crystal clear. These are all aggressive moves from BSNL which are well suited for customers especially for those who are in rural areas. Get updates from BSNL Facebook page. This page is too much active and you'll get constant updates. Spread the word, if you like it.